The road that leads to a custom engineered solution, is a collaborative journey between our clients and our technical staff. 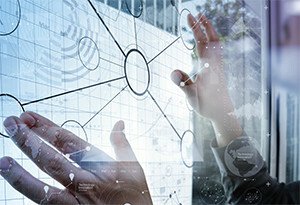 The road can lead to fairly simple levels of customization or one that leads the team down a path toward new innovative technologies. 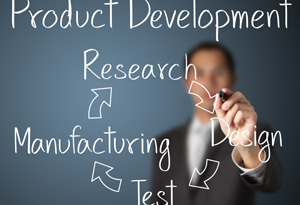 Over the years, we have helped clients achieve their goals within retail, healthcare, automotive, food processing, metals fabrication, petrochemical, aerospace, and utilities industries to name a few. Although the industry and complexity of the projects are vastly different, the process and steps are the same. Come walk with us on this journey through this example of one custom engineered solution. This is the most crucial step in the innovation journey. If not done correctly, the rest of the road will be longer and much harder. That is why at this point in the process, we focus on asking questions and more importantly listening to the client’s responses. This can be done over the phone, webcast or at the client’s facility. The client and our technical staff then form a project team that mutually develop a detailed design specification that encompasses all that has been learned. 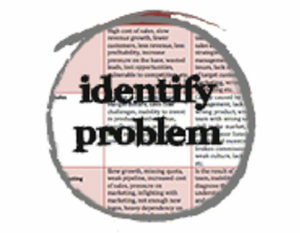 What is the client’s vision of an ideal solution? 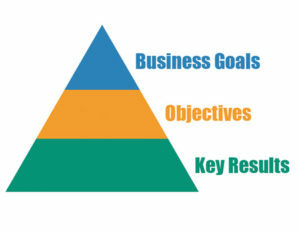 This vision will include but not be limited to technical, business and operational goals. At this point in the journey, it is time to take all of the information the team has gathered and have our technical staff develop some concepts of what a solution might look like. Fairly simple projects usually move quickly past this point in the road. More complex projects may have a longer journey through advocacy, screening and even experimentation phases before all of the concepts are properly vetted and the client selects the best concept to move forward. Our technical and commercial staff develop a proposal for the client’s project using as a foundation, all of the work the team has done up to this point in the process. 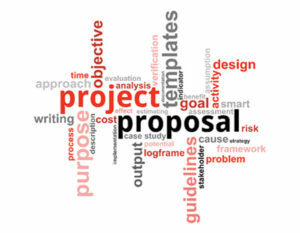 Since no two projects or clients are identical, the proposal is tailored directly for the individual client’s situation, providing enough detail so they can make an informed business decision whether or not to proceed with the project. Once the client has approved the project, our engineering team goes to work taking the client selected concept and starting to turn it into reality. The first gate we reach in this process, are models and drawings of the design that are presented to the client for their approval. Once the client approves the design, we move through the next gate and complete the engineering. The last segment of the journey is where we assemble and test each product against the design specifications to insure that the final product meets or exceeds the requirements that were defined at the very beginning of the project. Click through the images below to view examples of Electro Kinetic Technologies’ custom electric carts. A manufacturer of mechanical power transmission equipment and parts for industrial machinery needed a motorized solution to move heavy pipe around their facility. The top includes forklift rails for the pipes to be easily loaded and unloaded onto the cart. Designed for a manufacturer of medical device, this motorized scissor lift has a stainless steel top with removable side panels. 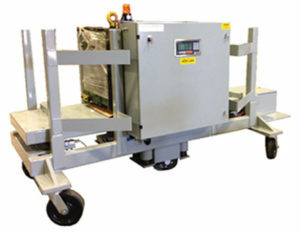 This solution designed by the customer and Electro Kinetic Technologies was comprised of two components: a motorized cart capable of transporting up to 1,000 lbs of test weights, and a ramp by which to safely load and unload the service vans. Low boy carts allow operators to easily load and unload materials. These carts can be made with a fixed edge to prevent materials from slipping off the platform, or a drop down ramp. 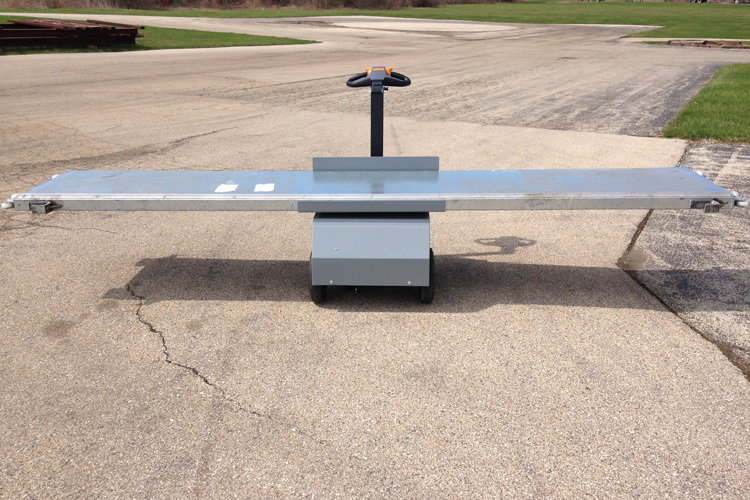 A manufacturer in the housing industry needed a way to haul materials on an elevated track for ease of production. Requirements included wireless control, lift rings for the cart, and guide rollers on each side running along a fence to maintain alignment on the track. A company that specializes in decommissioning nuclear reactors was looking for an additional solution to assist in the process. A custom motorized platform cart was designed to safely and securely hold a nuclear containment system and move up to 4,000 pound loads. A global manufacturer of structural automotive components was looking for a way to reduce their forklift use. A custom motorized transfer cart, designed to move up to 10,000 pound loads with wireless control, was the answer. A window and door manufacturer recently improved efficiency and ergonomics in its manufacturing facility by using long, motorized lift table carts. The project not only utilized custom motorized carts, but also created safer, more efficient parts processing. A manufacturer of steel pipe for the oil and gas industry had used a side-loading forklift to transfer 20 to 40 ft. long steel pipe from a cart to a work cell in its facility. Working with their team, we designed a custom cart that included an on-board scale, wireless remote control and could move an 8,000 lb. payload up a 5 degree incline..
Stock picking cart was designed with (2) two pendant controls so the operator can control from either side. A large international industrial client faced such a challenge when they were trying to move a 3,500 pound payload in tight spaces. After exhausting all manual transport options, the client turned to Electro Kinetic Technologies for assistance. When NASA was looking to build a cart to move equipment used in the servicing of their jet engines, it became apparent that the push/pull forces necessary to move the 2000 pound cart raised the potential for employees to sustain musculoskeletal injuries during transport. What motorized options can be easily maneuvered, and accommodate both exceptionally lengthy and heavy materials? The answer was a custom motorized platform cart. There are certain jobs people identify as having characteristics such as toughness, strength and even brute force. Workers in foundries certainly fit this image. This cart has removable side panels and risers for loading with a forklift. Cart included mounting holes for server enclosure and LED running lights. Cart included custom stainless steel rack to conform to customer's exact requirements. When a Fortune 500 company in the Healthcare industry came to us to solve an ergonomic problem, we answered the call. Designed for a customer in the Pharmaceutical industry, this cart has electronics and batteries inside NEMA 1/IP20 enclosure. Designed for a customer in the Telco industry, this cart has 10” x 3” pneumatic wheels with a very aggressive tread for off-road use. LED running lights assist with night use. Batteries and electronics were housed in easily accessible locked drawer. Designed for a customer in the Food & Beverage industry, this cart has a custom lift along with electronics and batteries inside NEMA 2/IP22 enclosure. A customer in the metal fabrication/extruder industry needed a custom motorized cart to move bundles of extrusions and pallets of parts. They also required dual controls for operation on either end of cart and flip up risers. A manufacturer of refrigeration equipment and systems for commercial and industrial uses needed to find an ergonomic solution to move copper pipe up to 15 feet long around their production facility. The solution required that the materials could be loaded onto the cart with a forklift and removable corner rails to prevent the pipe from rolling off the cart during transport. A heavy equipment manufacturer asked Electro Kinetic Technologies to design a custom solution for transporting 18’ long weldments between crane bays in their large welding and machining facility. 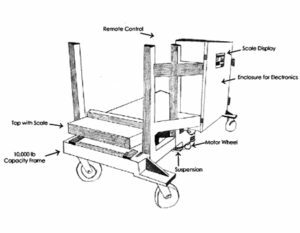 The custom motorized cart our engineers developed for this application had an extra large deck, and was outfitted with steel-backed, wood-lined pockets to secure pairs of the lengthy weldments in a safe and accessible position. Electro Kinetic Technologies also provides non-motorized components when necessary to complete a total material handling solution. View the gallery below for examples of these unique projects, and the manual carts we use to augment them. This non-motorized transfer cart solution was designed to move steel pallets for a major food and beverage brand. The design included a custom size requirement, 40 inch high posts on all corners, a hitch installed for a Pony Express 1065 tugger, and the ability to move up to 10 pallets. Load Capabilities: Up to 40,000 lbs. Load Capabilities: Up to 80,000 lbs. For more information on custom engineering, scheduling a walk-through, or getting started with your own ergonomic motorized solution, connect with one of our team members through the corresponding buttons below. Whether you already know what you need, or are still researching your options we’ll help guide you in the right direction.